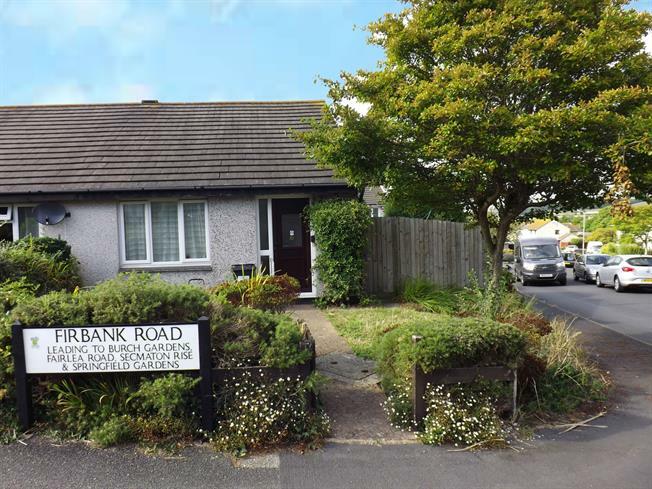 2 Bedroom Semi Detached Bungalow For Sale in Dawlish for Asking Price £155,000. A two bedroom semi detached bungalow that requires some modernisation throughout and no chain onwards. The accommodation comprises and entrance hall, lounge, kitchen, two bedrooms and an original family bathroom. The gardens are level to the side, front and rear. To the rear there is a driveway for off road parking and to the front there is a level lawn as well as a pathway leading to the property. Sliding . Single glazed steel window facing the side. Roll top work surface, built-in and wall and base units, stainless steel sink with drainer, space for, freestanding, electric oven, space for washing machine. Double glazed uPVC window facing the front. Gas fire. Single glazed steel window facing the rear overlooking the garden. Single glazed window with frosted glass facing the side. Low level WC, panelled bath, pedestal sink.